Share the post "Album review: RED DRAGON CARTEL – Patina"
“Patina’ is the newly released sophomore album from Red Dragon Cartel, the band formed around one time Qzzy Osbourne and Badlands guitarist Jake E Lee. As soon as the needle dropped (metaphorically, of course) I wanted to say that it picked up where it’s 2014 predecessor left off, but once you get in there this is not really the case. The album has a more “together” feeling to it, no doubt this is down to singer Darren James Smith as the self-titled debut featured a host of guest vocalists on each song and so had more of a disjointed feel to it. The song writing too has a more consistent feel and style this time around as this more stable line-up appears to have gelled musically. The danger when a well know guitarist puts a project like this together is that it tends to become a showcase for their playing skills, however, that is not the case here and this is no doubt helped by the fact that the album was co-produced by bass player Anthony Esposito who worked with Lee on this. That said, the album has a couple of tracks that are a little bass heavy, but that is not necessarily a bad thing. Weighing in at only 9 tracks. 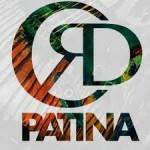 “Patina” has something for everyone, the underlying bluesy swagger of “Havana”, the funk feel of “Bitter” or “The Luxury Of Breathing“with is touches of Led Zep. “Crooked Man” is, dare I say it, Ozzy like, whilst “Speedbag” and “Ink & Water” are my favourite tracks on the album. This entry was posted in ALBUM REVIEWS, ALBUM REVIEWS (Mobile), All Posts and tagged album, Badlands, classic rock, guitarist, hard rock, Jake E Lee, Ozzy, Patina, Red Dragon Cartel, review, rock. Bookmark the permalink.